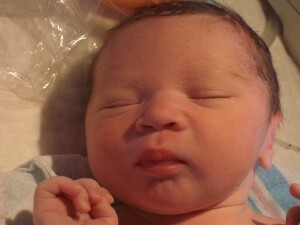 Wow – I can’t believe it’s been a week since Dylan was born, and I haven’t even posted his picture here! I’ve posted to FaceBook, all of my friends via email…but you’d think I would keep up with my blog!! Dylan was born on November 19 @ 1:26p. He weighed 6 lb 15 oz, and was (and remains) in perfect health! Mommy & Baby are both doing well a week out, and Evan and Jessica are absolutely enamored of their new brother! You can check out more pictures on my family photo album.